Lots of professional sports leagues, teams and sponsors try to involve children in events in the hopes that they’ll become fans who will support the club for the rest of their life. Not only are they hoping the kids will be fans, but in a perfect world, their parents will become fans (otherwise, who will buy the tickets?) and, by extension, the rest of the family. 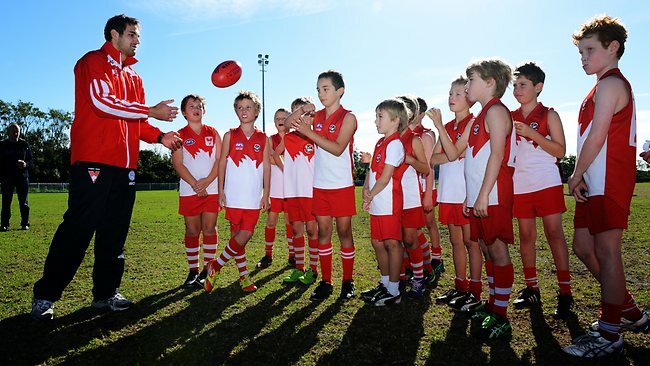 They do this through a variety of avenues: visits to local schools, workshops with clubs, Aus Kick in the case of the AFL, volunteering with child-focused charities such as Big Brothers/Big Sisters, and sponsorship activation on game days like bounce houses and face painting and temporary tattoos. Great idea, guys. Good work. But here’s my question: what happens when these kids grow up? I am a picky person. When I want something, I want THAT EXACT THING and nothing else will suffice regardless of cost or location or sheer difficulty. It’s useless trying to get me to settle for something else because I don’t want it. I want the other thing. This applies to clothes, shoes, food, people and naps – with very few exceptions. I am, essentially, my supplier’s dream customer and their competitor’s worst nightmare because I do not except substitutes. And, apparently, I’m not the only one. Most AFL fans are like this as well. That’s right folks, today we’re talking about substitution. Ah, Economics.